You’ve probably heard that regular eye exams are good for your eye health. Having regular eye exams can catch eye problems early, and allow your doctor to prescribe treatment that can slow the progression of eye disease. However, since “regular” isn’t a very specific term, you might still wonder: how often are eye exams recommended? The first thing that’s important to know is that eye exams should start when you’re a baby. The first eye exam should happen at six months, and these exams should be more frequent as you get older. Kids need an eye exam before starting school and every year after that. 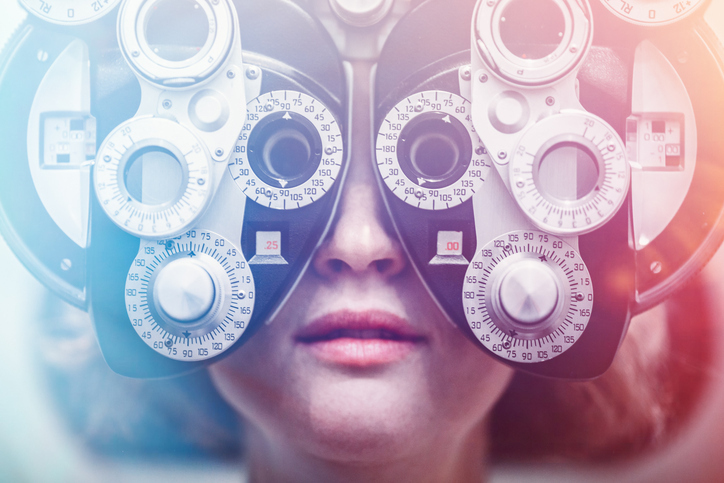 People with certain conditions, like high blood pressure or diabetes, need more frequent eye exams than people who are not considered high risk. Other factors that can make a person high risk include a family history of eye disease, like glaucoma or macular degeneration or a visually demanding or risky job. Additionally, if you’re taking medications, whether prescription or non-prescription, that can have eye-related side effects, you’ll want to see your doctor more often than every two years. Adults who wear contact lenses should have an annual eye exam. According to the American Academy of Ophthalmology, it’s important to get a baseline comprehensive eye examination at age 40 to check for certain diseases. At this comprehensive screening, your doctor will review your personal and family medical history, evaluate your distance and near vision using an eye chart and look for signs of nearsightedness, farsightedness, astigmatism and presbyopia. You may also have an eye pressure test and examination of the optic nerve so that your doctor can rule out glaucoma. Annual eye exams are highly recommended. If you need an eye exam and are looking for a reliable eye doctor in Derry, Spindel Eye Associates is here for you. Celebrating over thirty years of eye care, we proudly serve patients in Derry, Londonderry and Windham, providing personalized eye care using top-of-the-line technology. For more information or to schedule an appointment call 603.421.6536 or contact us through our website.